As we have mentioned in numerous articles on CEO.CA, the Canadian diamond exploration sector is piquing the interest of investors for the first time in many years. 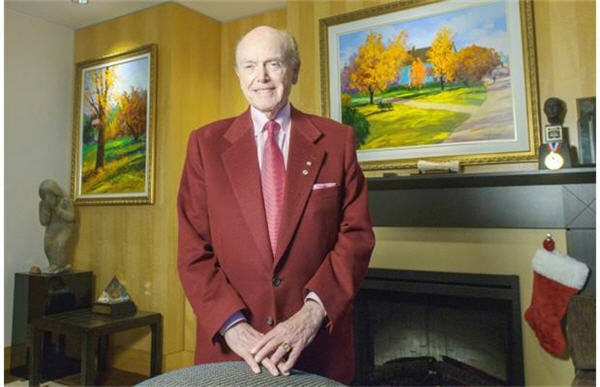 Today, Canadian business billionaire and legend James (Jimmy) Pattison of The Pattison Group ($8.1 billion in sales last year; everything from car dealerships to billboards to forest products) announced he acquired 14 million shares or 18.72% of Canterra Minerals (CTM:TSXV). According to the Bloomberg Billionaire Index, Mr. Pattison is Canada’s wealthiest person with an estimated fortune sitting at $9.5 billion. Mr. Pattison’s ownership was acquired as part of a $2 million flow through and hard dollar equity financing. The company issued 16.2 million non-flow through units at a price of $0.07 with each unit composed of one share and 1/2 warrant exercisable at $0.10 for 1 year. They also issued 8.65 million flow through shares at a price of $0.10. Shares are up 20% or $0.015 on 440,000 shares at the time of writing. Canterra is led by President and CEO Randy Turner who guided Winspear Diamonds from the discovery of the Snap Lake diamond deposit in northern Canada through to its $300 million sale to De Beers in August 2000. The company informed me that Mr. Pattison was a former shareholder of Winspear and has known Mr. Turner since then. It looks like Mr. Pattison likes his odds with Mr. Turner at the helm again. Canterra holds multiple grassroots exploration licenses in the Canadian Arctic as well as an advanced data set. 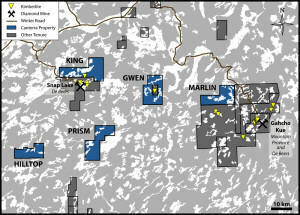 Some of their properties are surrounding the most prospective areas for diamondiferous kimberlites including their Marlin property which is located to the north of Kennedy Diamond’s land and adjacent to another micro cap diamond explorer, Margaret Lake Diamonds (DIA:TSXV). According to Canterra, they have spent 15 years amassing a large proprietary data set covering much of the southern portion of the Slave Geological Province. Given advancements in technology over that period, Mr. Turner is interested once again in exploring for Canadian diamonds. An endeavour that made him and many investors very wealthy in the past.